Each building, and a fortiori a hotel, is a place where residents, neighbours and visitors are welcome. As one only passes by through a hotel room, it turns into a place to experience and feel at home, punctually. 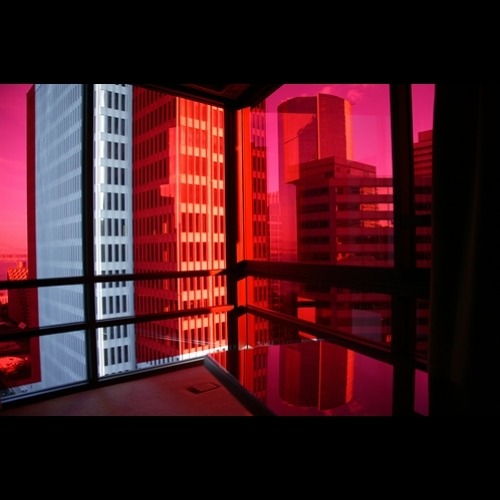 « For Le Meridien San Francisco, I imagined a permanent installation that run vertically on the whole façade of the building like a composition of coloured geometric shapes : affixed on each window, filters in primary colours (red, blue, yellow) changed the sight of the urban landscape as one opened the curtains. A poetical twist.